Talk about an amazing piece of land. 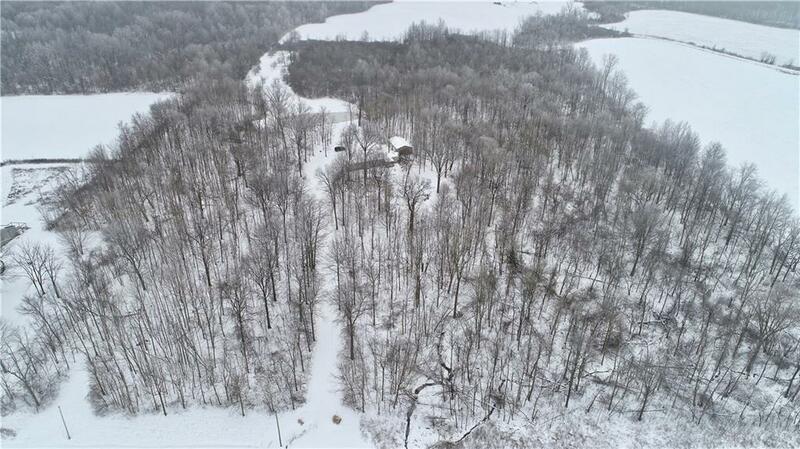 This 24.4 acres is all wooded, has a beautiful stocked pond, a orchard with pear and apple trees. There is also a 3 bedroom mobile home with 2 full baths. The views from the front covered porch and the back deck are incredible. There is a 3 car garage with concrete floors and electric. This would be an amazing place to call home or just to have to escape to and relax! Mobile Home: 1997 with 1216 sq ft. Living Rm 16x15, Kitchen/Dinning Rm 15x14, Bedroom 15x12, Bedroom 15x10, Bedroom 11x9. 2 full baths. Forced air furnace with central air. NOTE: This property was sold on 3/16/2019 and is no longer available. The details listed below are believed accurate to the date of the sale and are subject to change.